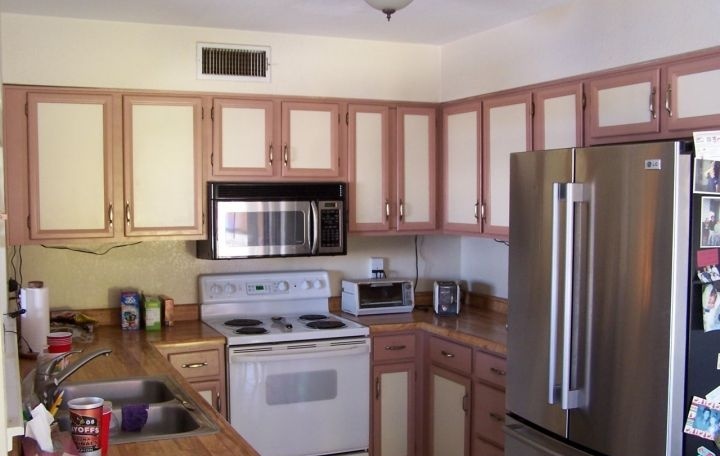 When done properly, a two tone kitchen can completely transform your space. It’s a great way of combining different styles and designs, as well as a fantastic way of bringing a touch of character and personality to smaller spaces. It’s also one of the best methods for blending segregated spaces into one continuous, welcoming area. Modern kitchens work well with a splash of colour, while traditional kitchens suit all kinds of woods, and there are even some wonderful kitchens that have successfully combined modern and traditional styles into something totally unique that actually works. 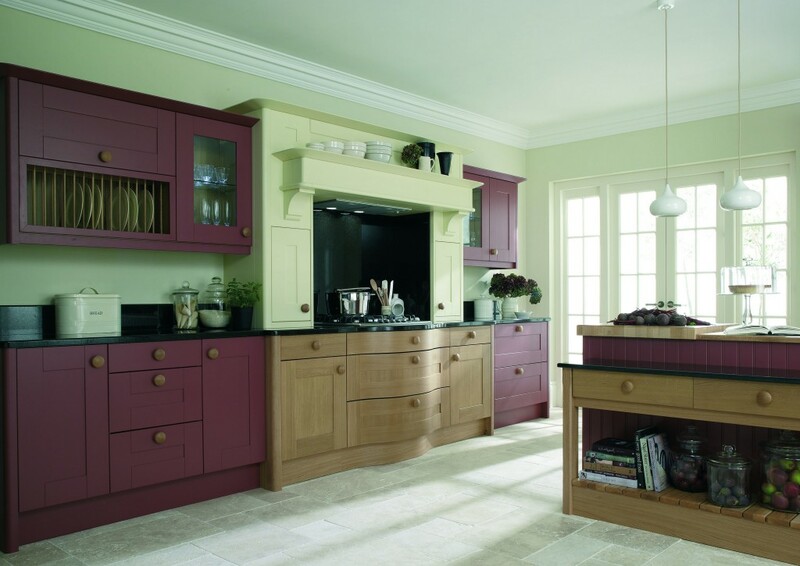 Two tone kitchens are right on trend, and when done right, they can instantly lighten up the heart of the home. Two tone kitchens are about expressing your personality and design preferences throughout your entire kitchen, blending two different aspects, and two different areas, to create the whole, overall look. 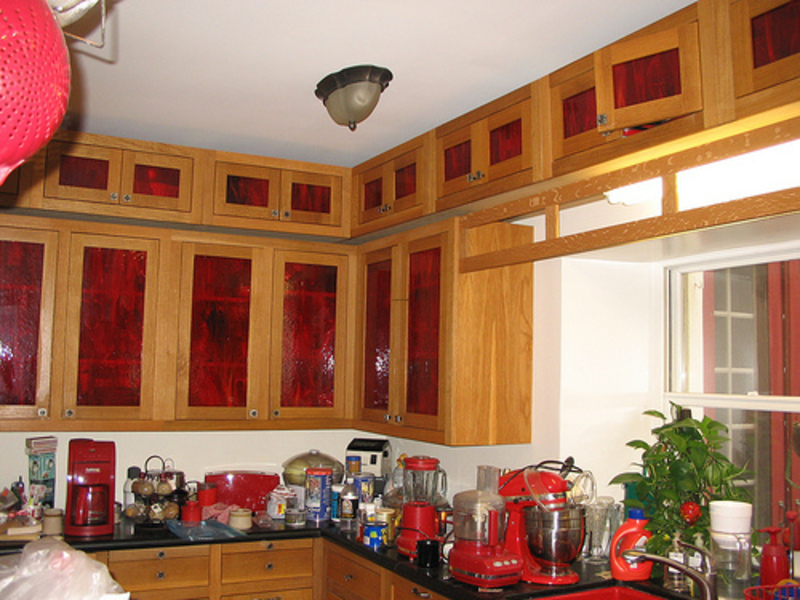 Unfortunately, some homeowners over the years have tried to focus their two tone kitchen design on one very small area – usually the cupboard doors and cabinets – and it’s a look that, in many instances, just doesn’t work. There’s two issues – firstly, it makes the kitchen seem very ‘fussy’, and secondly, it’s a lot for the eye to focus on in one very small, concentrated area. Instead, try to keep your cupboard doors a single, solid colour and work contrasting colours into the rest of the kitchen. 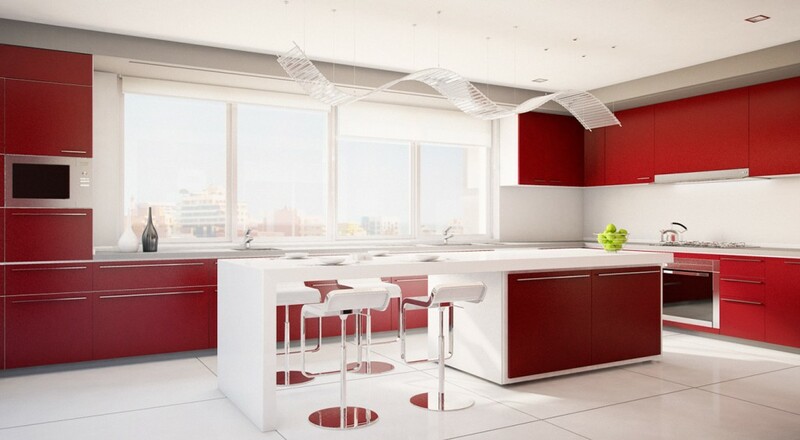 When it comes to designing a two tone kitchen, the only limit is your imagination. There’s just two rules to stick to. Rule number 1: make sure that your chosen colours work well together. Rule number 2: make sure that your styles work well together. There’s a growing trend for blending the modern with the traditional, and this can work beautifully, but there’s plenty of examples of times when this just hasn’t worked, and resulted in a pretty ugly kitchen. Remember that bright, vibrant colours tend to work best with darker woods, rather than with lighter woods or whites. 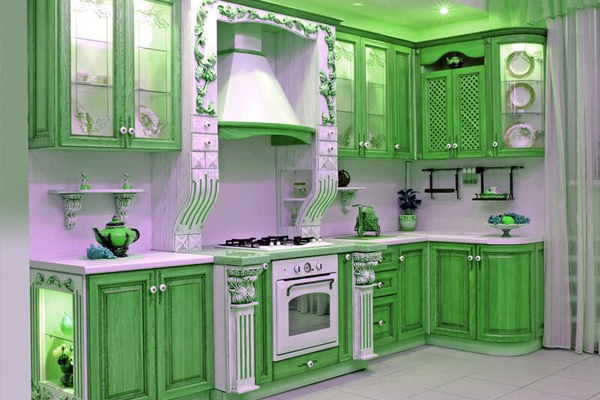 Also remember that this is your kitchen, and you have to live with it – will that love of bright lime green really last forever? 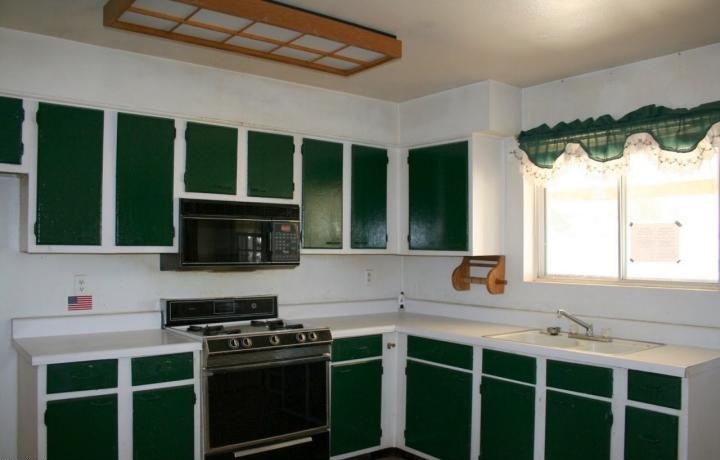 The secret to a good two tone kitchen is to not overdo it. Keep it simple and don’t try to combine all your favourite colours and styles into one small area. What it all comes down to is subtlety, and how colours and styles are subtly combined to blend together, rather than stand out. Two tone kitchens can and do work – you just need to carefully think it through before charging full steam ahead!